The launch of the in-person Stripe Terminal brings a company established for digital commerce into brick-and-mortar stores. Stripe is looking to supply payment solutions for the increasing number of digital-first companies who are also selling their products and services in person. But it is also eying the millions of small businesses with physical stores who are looking for a more efficient payment system. Payment systems have gotten much better with the introduction of digital technology. However, there are still many pain points which need to be addressed and made more efficient to simplify the process. Stripe Terminal was created with a new approach to in-person payment solutions, one which gives your business the ability to customize a checkout system that is right for you. Stripe has EMV Levels 1, 2, and 3 pre-certification for fast integration the company says takes days instead of months of developer and certification time. This includes the ability to scale globally if your business needs the capability. Whether you have single or multiple POS systems, you can get a single view of customers and sales across online and offline channels with Stripe’s integrated payment platform. 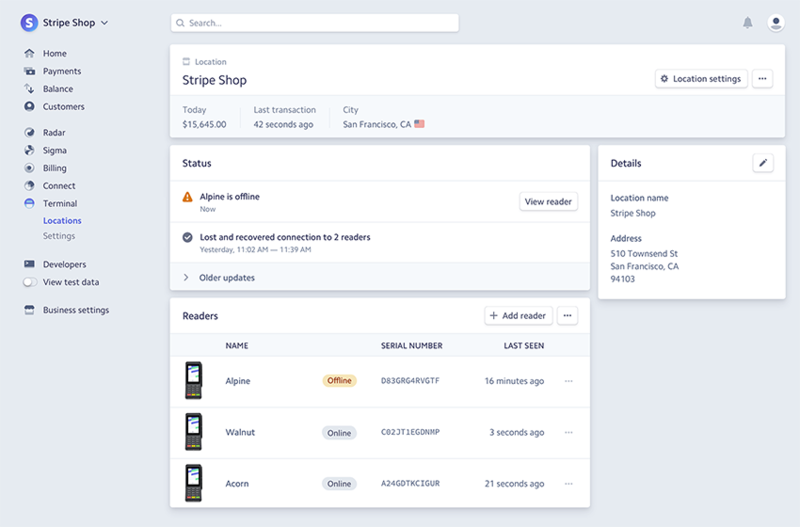 You will be able to identify readers which are not working, carry out security audits, and deploy software updates by monitoring the status of all your connected readers in the Stripe Dashboard. 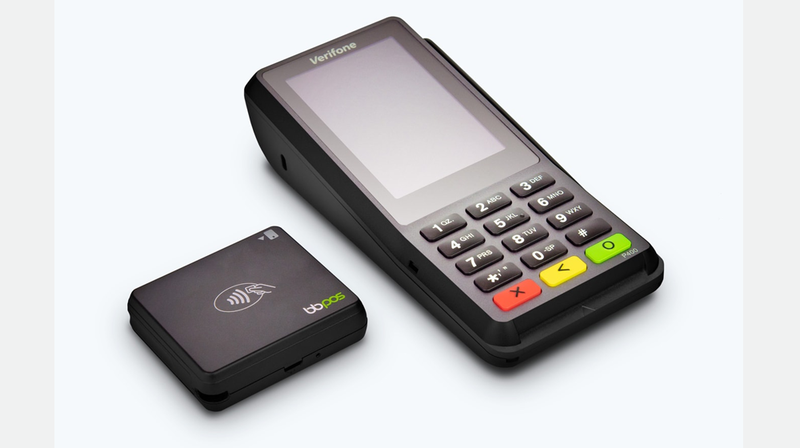 Stripe has partnered with BBPOS and Verifone for the checkout devices. The readers have native EMV chip card and contactless payment support with end-to-end encryption. Currently, there is a mobile reader available for $59 (iOS only, coming soon to Android) and a countertop smart terminal version for $299. The in-person payment processing is 2.7% and 5 cents for each successful card transaction. Stripe Terminal is now available in beta in the US only. You can request an invite here if you want to participate. The move to the physical world by Stripe was necessary because e-commerce is still growing, and it has a lot of catching up to do with all of the commerce taking place in the physical world. 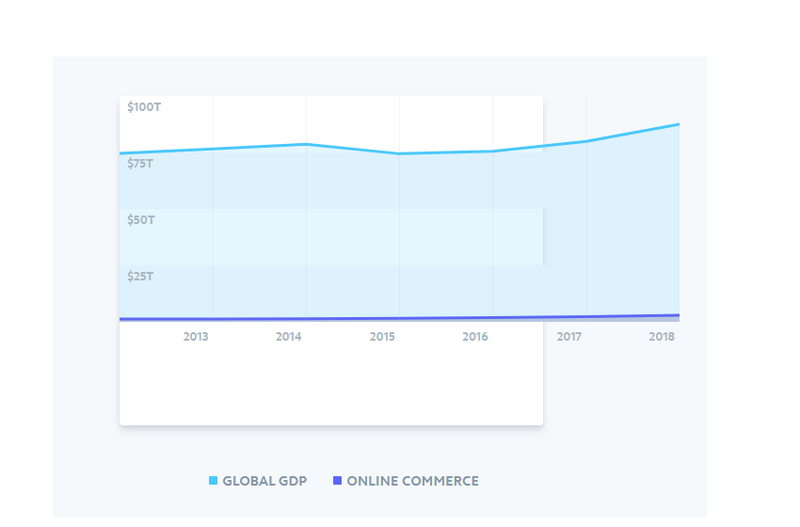 According to data on Stripe’s site, online commerce currently accounts for only 3% percent of the global commerce. While it is growing, without a combined payment solution an e-commerce only company will just grow as much as the overall segment. The entry into in-person payment has taken Stripe some time, as there are more established players addressing both segments, more notably Square. How it goes about differentiating itself from the likes of Square and others will determine how well it does moving forward.